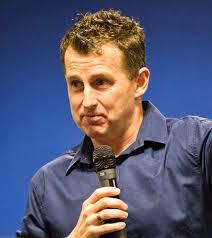 Nigel Owens (born 18 June 1971 in Mynyddcerrig, Llanelli, and Wales) is a international (Welsh) rugby union Referee. He is an international and Heineken Cup referee and was the only Welsh referee in France for the 2007 World Cup well as the World Cup held in New Zealand in 2011. A real character of the game that also comes across on his speaking appointments.